The Dashboard is the landing page when you log in to your account. It has nicely designed widgets for common actions or at-a-glance information, like Upcoming Shifts, Who's On now, and Late for Work etc. 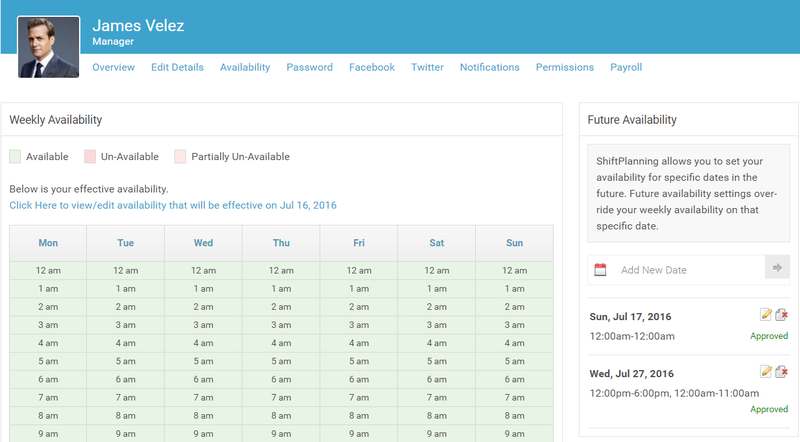 All the Upcoming Shifts that you are scheduled to work on are shown on the Dashboard page as a widget. Shift Trade can also be initiated within this section. Black Notes Icon at the end of shift times allows you to initiate trade request. See who is currently scheduled to work along with staff members who are Late For Work. Who is not coming today and has requested vacation using the application. We will make sure that you never miss wishing your colleague Happy Birthday! The 'Message Wall' is where you can see many important posts and if enabled by management, you can post messages as well. Click 'New Message' to post a new wall message or reply back on a post. Click on Inbox to see the other folders i.e. 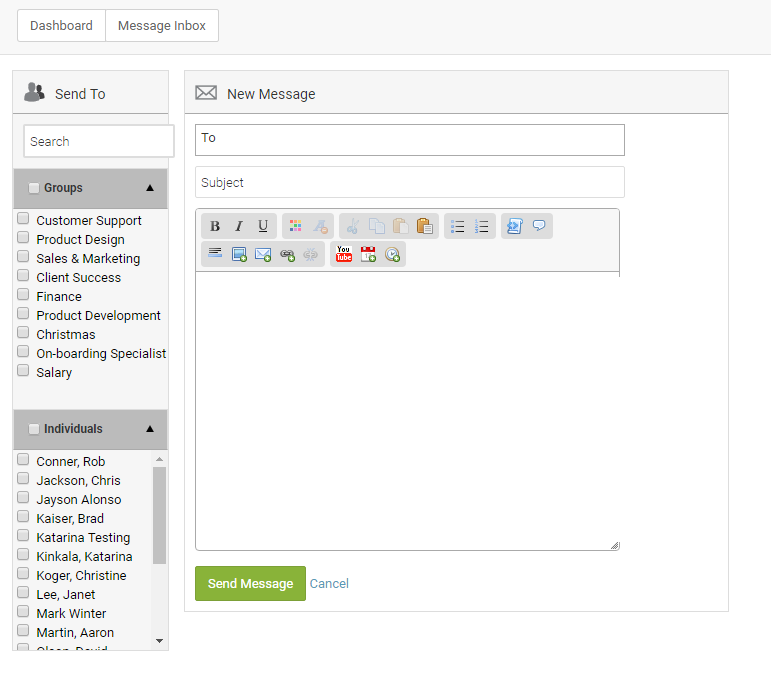 Outbox & Sent Messages.Click Send New Message from the top right to compose a message. You can send a message to an individual, group or multiple groups/individuals at once. Here you will see the documents that management has uploaded. To download a document just click on the text and save locally. There are two types of availability 'Weekly Availability' and 'Future Availability'. Go to your profile and you will see theavailability option at the op of your profile. Weekly Availability: The 'Weekly Availability' system is for the times that you would 'prefer' on a weekly basis. Future Availability: The 'Future Availability' system is for the times that you would 'prefer' to 'not' be available for dates in the future.